MADRID • Ousted Catalan leader Carles Puigdemont yesterday called for a united political front in the Dec 21 election to continue the drive for independence from Spain and to protest against the imprisonment of former members of the regional government. 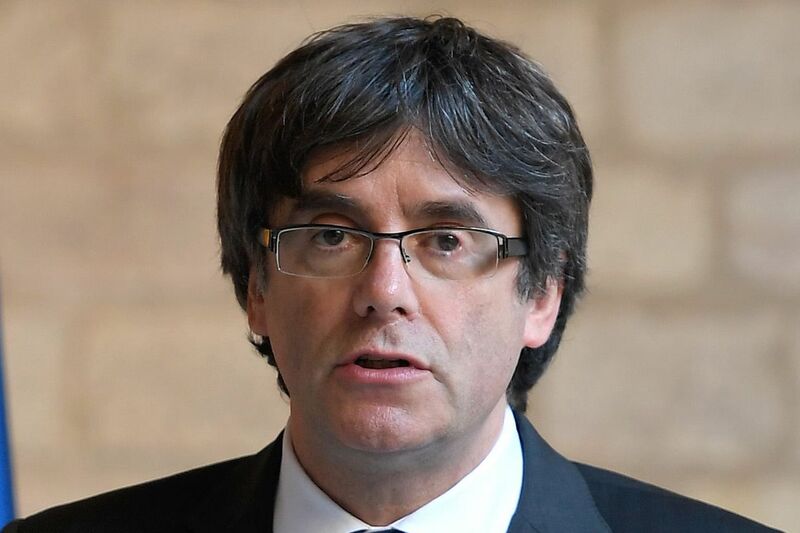 His defiant stance came a day after a judge in Spain issued an EU-wide arrest warrant for the separatist leader who fled to Belgium after his government was fired following a unilateral declaration of independence. Last Thursday, nine members of Mr Puigdemont's sacked Cabinet were ordered by Spain's High Court to be held on remand pending an investigation and potential trial. Minutes after the Spanish warrant was made public, a taped interview with Mr Puigdemont was aired on Belgium's RTBF television. He reiterated that he would submit to justice as long as it was not the Spanish kind. I won't flee justice; I'm willing to submit to justice, but to real justice. "I won't flee justice; I'm willing to submit to justice, but to real justice," the ousted leader said in the interview. He said the Spanish courts "can't guarantee a fair and independent sentence that will be free of the enormous weight and influence of politics". "It is time for all democrats to join together. For Catalonia, for the freedom of political prisoners and for the republic," Mr Puigdemont said in a tweet that included the hashtag #llistaunitaria.cat, a website calling for parties to unite against the Spanish government at the ballot box.